The collection includes newly remastered versions of the first two titles in the BioShock video game series — BioShock & BioShock 2, alongside their single-player content originally released as exclusives or downloadable content packs, including BioShock 2’s Minerva’s Den. 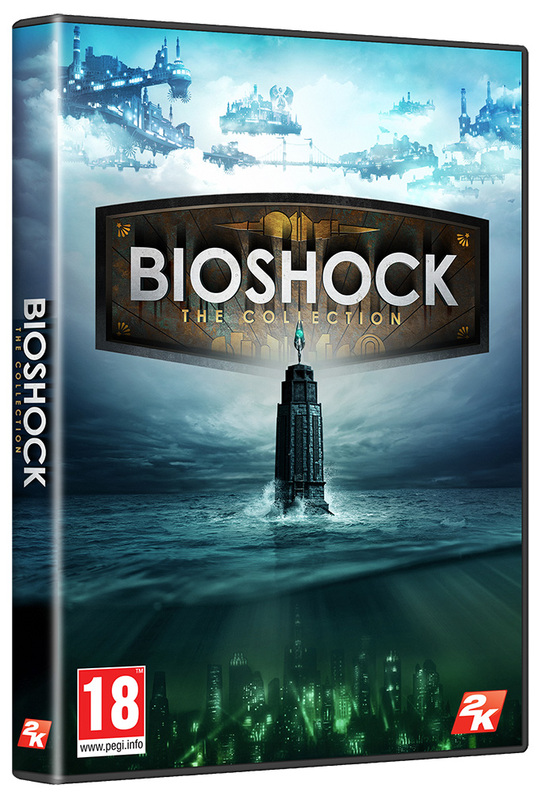 The multiplayer component from BioShock 2 will not be included in this collection. It will include the challenge game modes from all three releases, and the Museum of Orphaned Concepts, a feature from an earlier collection in which the player views an in-game gallery of abandoned development concepts. Additional Notes: Software installations required including DirectX and Microsoft Visual C++ 2010 & 2012 Redistributable Package. Some system components such as mobile chipsets, integrated, and AGP graphics cards may be incompatible. Unlisted specifications may not be supported by publisher.